Carmen Dellutri is the Founder and President of The Dellutri Law Group, P.A. He is Board Certified in Consumer bankruptcy law. He is also a Florida Supreme Court Certified Circuit Court and Family Law Mediator and a Qualified Arbitrator. He is a graduate of Edison Community College and the University of South Florida. In 1993, he graduated from Loyola University School of Law. While in law school, Mr. Dellutri clerked for the Honorable Charles Ward, Louisiana Fourth District Court of Appeal. Mr. Dellutri was admitted to the New Jersey Bar in 1993 and the New York Bar in 1994. He also received his Master of Laws (LL. M.) degree from Tulane University School of Law in 1994. Mr. Dellutri became a member of The Florida Bar in 1995. After entering private practice, Mr. Dellutri received his Master of Business Administration (M.B.A.) degree from Florida Gulf Coast University in 1999. Mr. Dellutri is licensed to practice in all state courts in Florida and the United States District Courts; Northern, Southern, and Middle Districts of Florida. Mr. Dellutri is also licensed to practice law in United States Court of Appeals, Eleventh Circuit and the United States Tax Court. Although Mr. Dellutri is not actively engaged in the practice of law in New Jersey or New York, he is admitted to practice law in all state and federal courts in New Jersey, and all state courts of New York. Mr. Dellutri began his legal career in a small plaintiff’s personal injury firm. He represented individuals for claims involving products liability, wrongful death cases, premises liability, automobile and tractor trailer negligence. As the firm expanded, Mr. Dellutri was given the added responsibility of handling consumer bankruptcy cases. In early 1998, Mr. Dellutri started the Law Offices of Carmen Dellutri, P.A. The Law Offices of Carmen Dellutri, P.A. evolved into The Dellutri Law Group, P.A. as the firm grew from a little office in downtown Fort Myers to our four (4) offices today. Mr. Dellutri actively litigates cases involving catastrophic injuries and wrongful death on behalf of the victims. Additionally, the firm represents consumers in all forms of bankruptcy litigation. 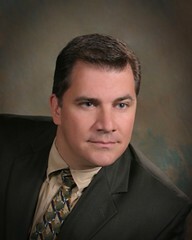 Mr. Dellutri is one of the founding members of the Bankruptcy Law Network and its affiliated websites. Mr. Dellutri is also a member of the American Bankruptcy Institute (ABI), the National Association of Consumer Bankruptcy Attorneys (NACBA), the National Association of Consumer Advocates (NACA), the National Association of Chapter 13 Trustees the Florida Justice Association (FJA), the Association of Trial Lawyers of America (ATLA), the American Bar Association (ABA). Mr. Dellutri encourages each member of the firm to be active in the community. Last year, the firm supported many charitable and civic causes by donating time and much needed capital to our community. Mr. Dellutri and the other attorneys in the firm routinely speak to students and civic groups of all ages about various issues. Read my blogs in the Legal Category!